I’m a determined DIYer. I can’t stand to pay someone else for something I could do myself. And I enjoy doing things myself–learning how to do it, and then developing the motor skills to accomplish it. But I hired a paving company to pave my driveway. I hired an electrician to safely rewire my basement. And I hired my nephew to jackhammer and dispose of my decrepit concrete patio (that was before I realized the usefulness of recycled concrete!). 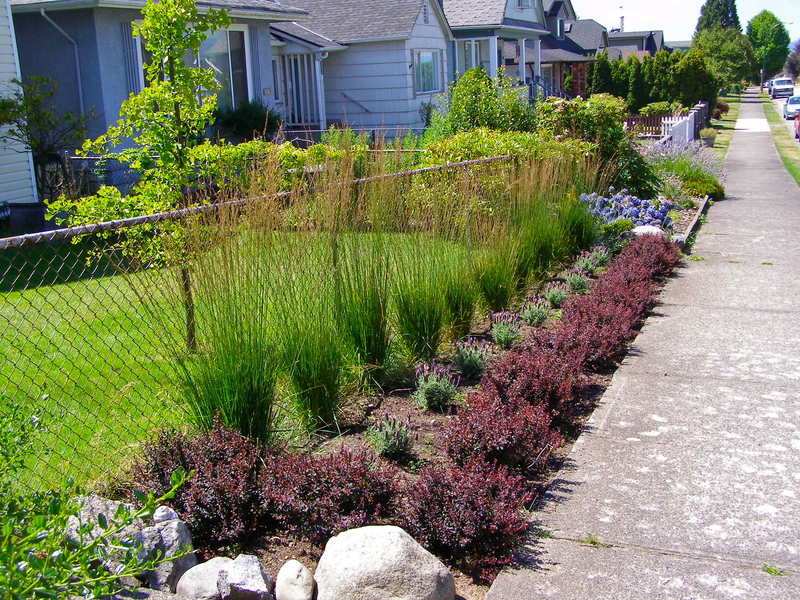 So how do you decide if you need to hire a landscape designer? Well, how much is your time worth? How much do you know about decks, patios, ponds, pools, and planting plans? (I assure you, that wasn’t “planned” alliteration! )–or are keen to learn. Do you know how you can complement the architecture of your house? 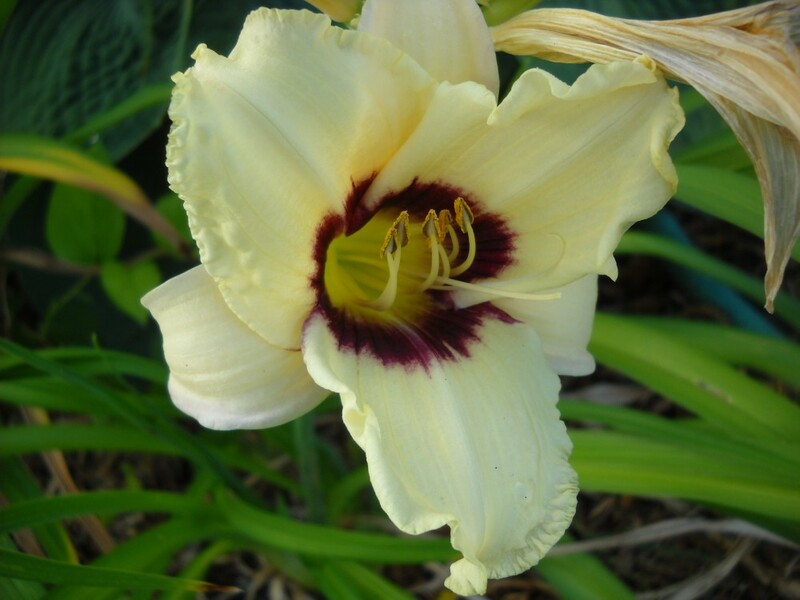 Are you confident of mapping out terraced terrain, four-season interest, sequential flowering? How about drainage, soil characteristics, “right plant, right place”? And maybe most importantly, do you want these? Start with a Plan–do you know what you want? 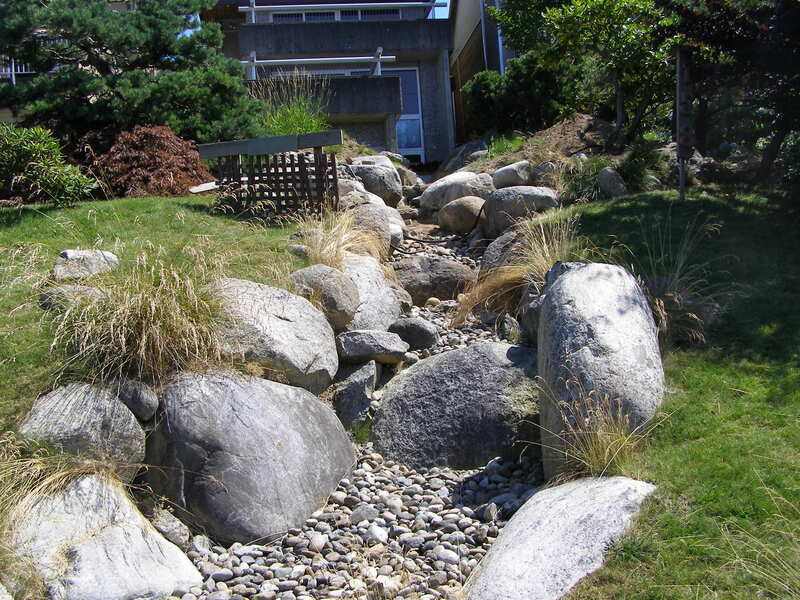 An impressive dry river bed in my neighbourhood. A good designer should be able to get to the root of what the client wants of their property. Too many sites are designed for the convenience of the developer or builder. What do they know of your family, your pets, your entertaining or recreation goals? By reading through the Client Site Analysis page here, you’ll take yourself through a series of points to determine answers to some of these questions. There may be garden elements and options that you haven’t considered, but having been suggested would turn out to be useful or desirable. But if you’re paying money for a professional, the professional should take you through these questions. Expect to spend a good hour or two discussing needs and desires with your designer. 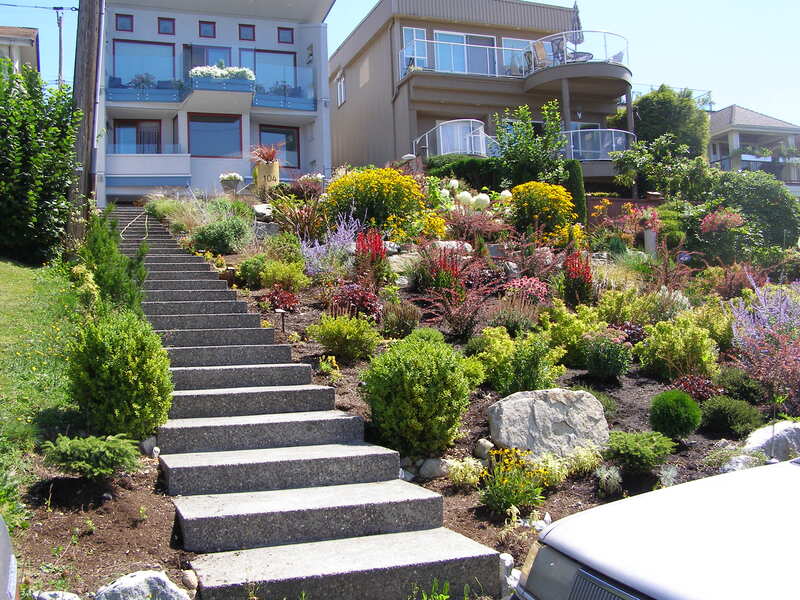 Your house is centre-stage–the landscaping should complement it. 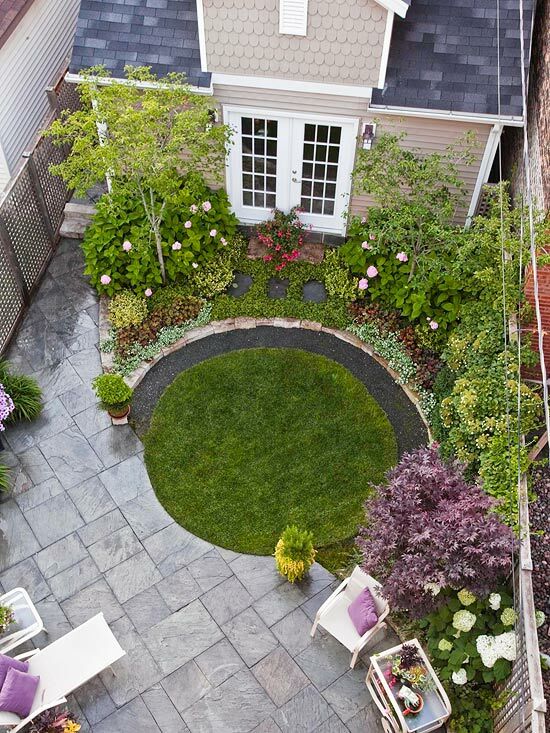 A cottage garden usually doesn’t fit in with a mid-century modern house. An Arts and Crafts home might look odd with a Japanese garden. On the other hand, just because you have a formal house doesn’t necessarily mean the gardens have to be formal. It’s useful to have a bit of understanding what constitutes the different styles so you can mix and match effectively. A designer will be able to plan a garden that fits with your own timetable. If you plan to do all the maintaining and developing yourself, but can only spend on average an hour or less per day, you’ll want a “low-maintenance” garden design. Are you confident you can plan that yourself? If you have unlimited time to spend pottering in the garden, maybe you’ll just need someone to help you structure the “bones” of your garden. And speaking of bones, if you’ve ever read or heard of the biblical prophecy of the “Valley of Dry Bones” you’ll know the bones came together first, then the sinews and muscles (and I guess the organs as well, but Ezekiel didn’t see those), and finally the breath of life. Your garden space will be the same way. Can you envision where the hardscaping will go, where other man-made structures could be located, where to plant the tallest and understory trees? These constitute your infrastructure or skeleton. 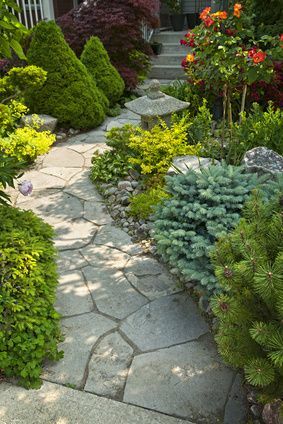 I used to think putting a lot of hardscaping–patios, paths, buildings–in a garden was a complete waste of space. it took up valuable planting space. But the more I learned about designing gardens, the more I realized the value of hard surfaces in complementing the “softscaping”. Like a picture frame complements a picture. Sometimes the frame is barely visible, but still essential to hold the picture on the wall. Other times a tiny picture is dwarfed by the dimension of the frame, yet is still perfectly enhanced. A good designer will be able to help you determine the best balance for you. Finally we’ve come to actual planting. 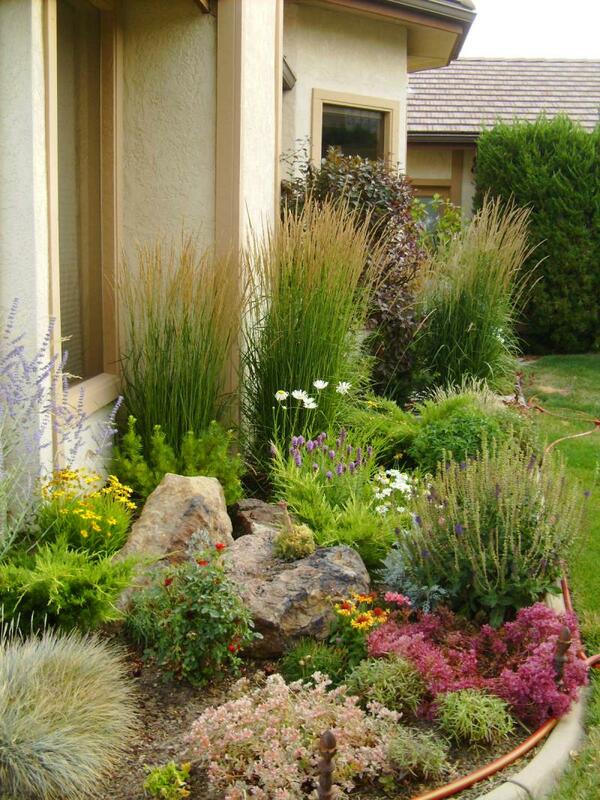 The plants, countrary to popular belief, are not the most important part of your design. But they do tend to be the most obvious or visible. All plants have their own optimum amount of light exposure, water, nutrients, type of soil, pH, and companionship with other plants. And most plants will continue to thrive in a range of these factors, the range being greater or lesser depending on the species. So how do you know how far to push any one plant? How much shade will your Rhodo tolerate and still flower? 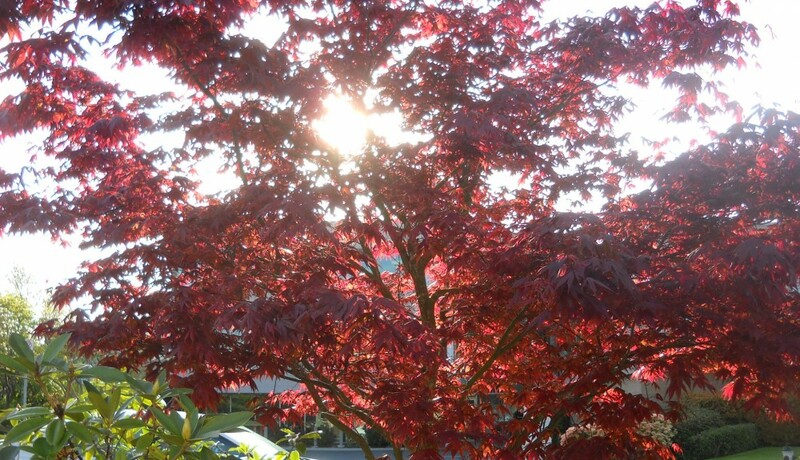 How much sun will your Japanese Maple take before it starts to burn at the leaf tips? What’s the real mature size of your Elderberry, and how much room will it need? These are things a designer should know (or know how to find out), and therefore be able to effectively locate in your garden to give the most enjoyment. And indeed, they’re things you can also know with a little (or a lot) of research. One last thing (for now): hire a professional who is un-affiliated with any supplier. By which I mean a designer who will work for you, not their boss. If I as a landscape designer were employed by a garden nursery, I’d probably be “encouraged” to sell product and services; if I worked for a developer, to keep costs low. If I work for you, essentially, you are the boss. There are many more components to the “beautiful garden” than I can address in one post. The question is whether you want to hire someone who already knows, or give it a go yourself. Capital Hill–a bit overwhelming, don’t you think? I’ve been adding to a new Pinterest Board I’ve called “Details”–pictures I’ve taken on my walks of interesting gardens or garden features. E.g. 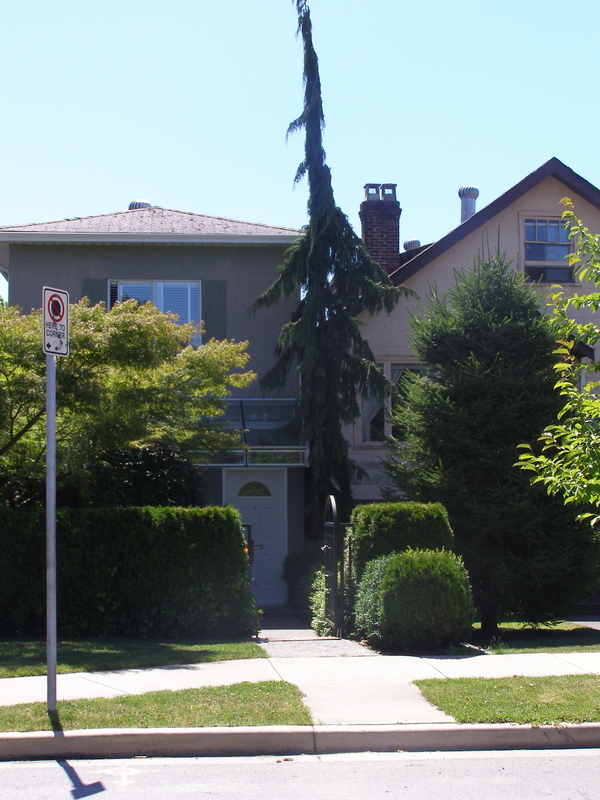 above is a picture of a tall narrow house on a very narrow lot with a Chamaecyparis nootkatensis ‘Green Arrow’. 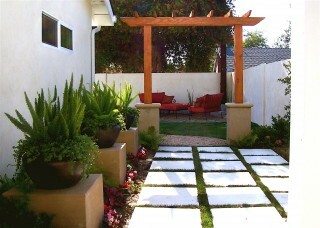 I like the fit, the look, and the balance with the Japanese Maple toward the left. So check out the new Board–I’m adding to it almost every day. Calamagrostis x acutiflora ‘Karl Foester’, lavender of some variety, berberis of some variety. Cute combo, especially with another year’s growth.